Two brand new initiatives were launched today by the Selangor Information Technology and E-Commerce Council (SITEC), at the Selangor Digital Creative Centre (SDCC) here in Shah Alam. Concurrent with the launch of SITEC Academy and Startup Connect, SITEC also celebrated the graduation of its second batch of 100 merchants under the SITEC Online 100 programme. The trio of events were officiated by YB Dato’ Teng Chang Khim, Senior Councillor of the Selangor State Executive Council for Investment, Industry & Commerce, Small & Medium Enterprises (SMEs), and Transportation, along with Dato’ Hasan Azhari, CEO of Invest Selangor Berhad, Yong Kai Ping, Chief Executive of SITEC, and representatives from Invest Selangor Berhad, the secretariat of SITEC. Yong congratulated the Online 100 merchants, stating that the programme has generated over RM3.1 million in sales on record in its one and a half years, with the actual figure closer to RM4 million. “We are also looking into becoming one of the first Digital Hubs in Selangor, following the guidelines set out by the Malaysian Digital Economy Corporation (MDEC), of which we already meet most of the requirements. We here at SITEC hope to have good news to share in the next few months,” shared Yong, who noted that SITEC has, since its inception, met and exceeded its targets and mandates. The SITEC Academy (http://www.sitecacademy.com) serves as a virtual learning and online resource platform, and will act as an extension of SITEC’s E-Commerce Education thrust, through which the body sees the provision of free educational classes, workshops and events for the burgeoning e-Commerce community in Malaysia. The platform intends to make it easier for those who are unable to physically attend SITEC’s EC Classes (held at the SDCC in i-City, Shah Alam) to be able to access media resources such as class content, video and images relevant to each topic. “With the launch of the SITEC Academy, it is my hope that more and more Malaysians will take the opportunity to learn more about e-Commerce, and improve themselves with all the knowledge readily available – at their fingertips. From what I understand, the resources from SITEC Academy will cater to different levels of learning, hence it still has relevance to even our competent Online 100 Graduates today as well,” said Teng during his address. Startup Connect (http://startupconnect.sitec.com.my/) will serve as a platform for local startups to reach out to the Selangor Government, potential partners and investors, and vice versa. It will also act as a one-stop repository and hub to access resources for startups. 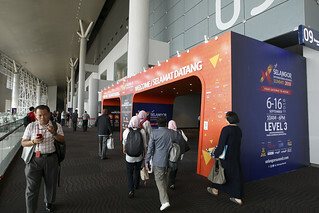 Registrants with Startup Connect will also receive special rates to enjoy facilities at the SDCC in i-City, Shah Alam. “Startup Connect serves as the next step in building up the startup community, while serving as a promotional platform to help local startups reach out to a wider audience of potential clients, partners, and investors. This is a resource that should serve to aid our online merchants, along with the creative and technical talents that form the core of the startup community,” noted Teng. Launched in July 2015, the SITEC Online 100 programme sought to assist 100 traditional brick and mortar retailers to establish themselves in the e-Commerce sphere within a targeted period of 12 months. The programme had successfully completed training for its first batch three months ahead of schedule, with the first graduation ceremony held in March 2016, which was also concurrent then with the launch of the state’s first free photo studio (Photo Studio @SDCC) for public use. “This marks the second batch of graduates produced by the programme since its inception in 2015, and I would like to congratulate SITEC, under the secretariat of Invest Selangor, for the progress they have made in aiding Selangorians in entering the e-Commerce sphere,” said Teng during his address at the event. SITEC was officially launched on October 5th, 2015, under the secretariat of Invest Selangor to develop Selangor as the regional trading hub for e-Commerce and to uplift the startup ecosystem. Testimonials were also offered by startups Wofollow and Titan Designs Sdn Bhd, each thanking SITEC for the aid they have received since signing up with the council’s programmes. “I received a lot of helpful suggestions and advice, and grew my business here. 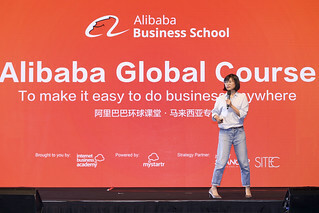 Let’s grow together, and look to more synergy and cooperation in the future,” said Gary Boon of Wofollow, an O2O (Online-to-Offline) company that connects consumers and retailers through a rewards-based mobile app system. “I thank SITEC for having us in Online 100, and helping us with our business,” said Sufian Ng of Titan Designs, while presenting about the company’s star product, Traveloc, a luggage padlock ‘protector’ that notifies users of tampering. 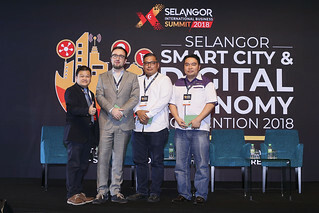 The Selangor Information Technology and E-Commerce Council (SITEC) was established by the Selangor State Government, with a mandate to develop Selangor as a regional e-commerce hub, as well as to uplift the startup community in Selangor. Since its inception in May 2015, SITEC has kick-started over 30 initiatives, events, conferences, workshops, and gatherings towards its mandate, as well as organising E-Commerce Classes and the Online 100 Programme.